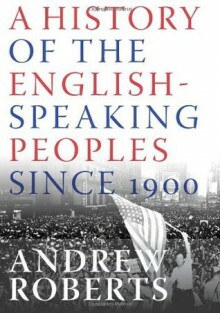 Winston Churchill's History of the English-Speaking Peoples ended in 1900. Andrew Roberts, Wolfson History prizewinner has been inspired by Churchill's example to write the story of the 20th century. Churchill wrote: 'Every nation or group of nations has its own tale to tell. Knowledge of the trials and struggles is necessary to all who would comprehend the problems, perils, challenges, and opportunities which confront us today It is in the hope that contemplation of the trials and tribulations of our forefathers may not only fortify the English-speaking peoples of today, but also play some small part in uniting the whole world, that I present this account.' As the greatest of all the trials and tribulations of the English-speaking peoples took place in the twentieth century, Roberts' book covers the four world-historical struggles in which the English-speaking peoples have been engaged - the wars against German Nationalism, Axis Fascism, Soviet Communism and now the War against Terror. But just as Churchill did in his four volumes, Roberts also deals with the cultural, social and political history of the English global diaspora.